This summer’s drought has drastically lowered water levels on major waterways throughout the Midwest. 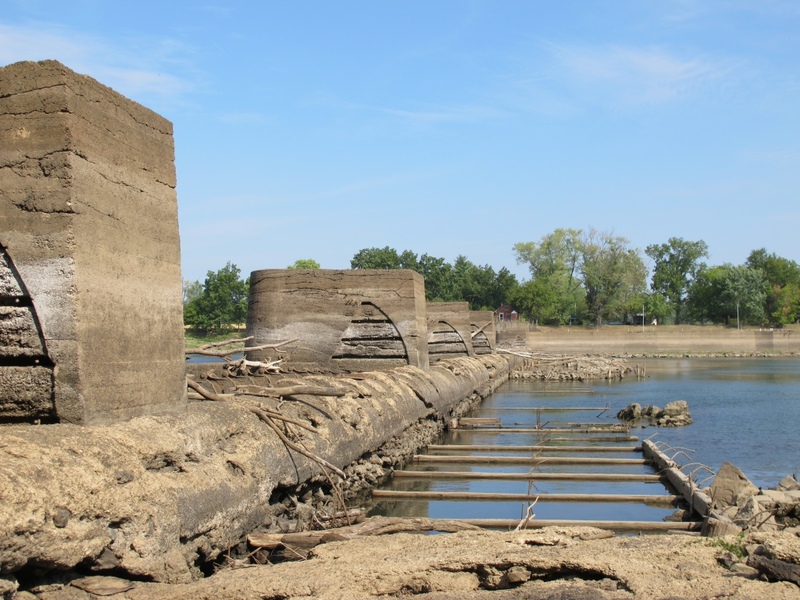 The Corps of Engineers first major water control project on the Osage – built around the turn of the last century to facilitate steamboat travel – Lock and Dam #1 was if anything an impediment to river commerce. This morning the crumbling hulk lay exposed to sun and camera…. A reminder that water resource projects have a finite usefulness and then become relics and dangerous ruins. Great photo! Very picturesque ruins. How long were they actively used and maintained? This dam should be removed! “Damming the Osage” is a great book to read if you want to understand how stupidity and greed made a mess of the Osage.